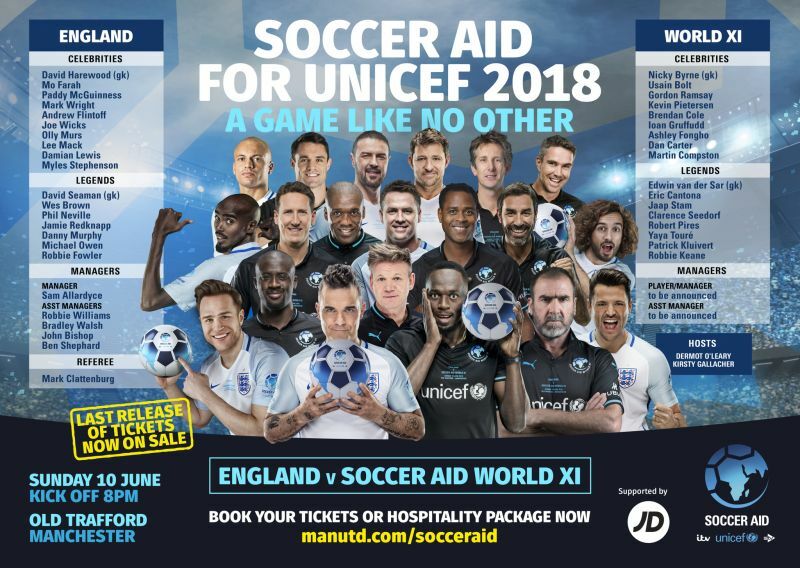 CHARITY: Soccer Aid for Unicef is the biggest charity football event in the world â€“ where legends of football and world famous names from film, music and TV join forces to raise money for the worldâ€™s leading childrenâ€™s organisation, Unicef. As an honoured member of the world football community, King Power Duty Free will be among those proudly supporting the event at the world-famous, 75,000-seater Old Trafford stadium in Manchester, UK. Founded in 2006 by global music star Robbie Williams and UK television personality Jonathan Wilkes, Soccer Aid for Unicef has raised over £24 million (B1.02 billion) for Unicef in the last 12 years. Hosted at the home of Manchester United FC, the event has become a staple in the build-up to major international football tournaments ever since. 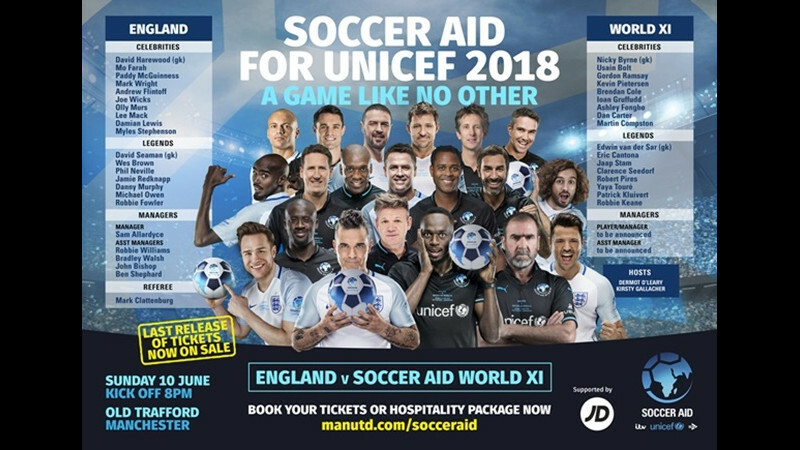 The money raised by Soccer Aid for Unicef has enabled Unicef to help children in danger, providing life-saving food, vaccines, clean water and protection from violence to millions of children around the world. The UK government will match every £1 (B42) donated by the public through its UK Aid Match scheme, doubling the difference for children in danger around the world. King Power CEO Aiyawatt Srivaddhanaprabha said: “In Thailand, in the UK and in Belgium, King Power has first-hand experience of football’s ability to unite people and be a force for good – qualities an event like Soccer Aid for Unicef can emphasise in support of an extraordinary cause like Unicef. 100% of all public donations to Soccer Aid for Unicef will be doubled by the UK Government, up to a total of £5mn (B213.64mn), and go towards supporting the vital work protecting children in the UK and globally. Viewer donations during the match, and money raised through profits from ticket sales, will add to the incredible £24 million that has already been raised through Soccer Aid over the last 12 years.